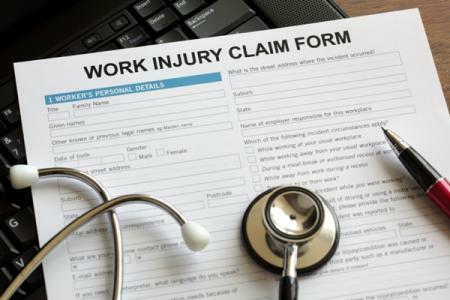 Employees who suffer injuries on the job, or who develop certain illnesses because of their job, may be owed workers' compensation benefits. Many employers in Florida are required to carry this type of insurance. Depending on the situation, these benefits cover a portion of your wages while you are unable to work, and pay for your medical bills. To find out if you are entitled to these benefits and how our attorneys can help you obtain the full amount you are due, please call The Kelleher Firm at 833-546-3675. Our law firm has offices in Naples and Fort Myers. Workers' compensation is an insurance program mandated by states in the U.S. It compensates you for lost wages and pays for your medical care when you suffer a work-related injury or serious illness. It is no-fault insurance. You receive the benefits regardless of whether the injury is your fault. In exchange, you cannot sue your employer for negligence. Under certain limited circumstances, you may be able to file a claim against your employer, but those situations are far less common. Consult our experienced attorneys to find out what your options are in your situation. Medical care. All related medical care is paid for. But you must visit the physician designated by your employer and their insurance company. This benefit covers necessary visits to primary care doctors and specialists. It also covers all necessary care, which may include hospitalization, physical therapy, prescription drugs, prostheses and tests. You will also be reimbursed for travel to and from necessary doctor's appointments. Lost wages. Under certain circumstances you may be entitled to replacement of lost wages under workers' compensation law. If your doctor says you cannot work (known as temporary total disability), you are eligible for replacement of 66 and 2/3 percent of your regular pay, but not for the first 7 days of temporary total disability. If you can return to limited work duties, then you may get temporary partial disability benefits. If you are permanently disabled and unable to work, there are benefits for this condition as well. Call our attorneys in Naples and Fort Myers to learn more. Death benefits. If your loved one died as a result of an on-the-job injury or occupational illness, then you may be entitled to funeral expenses and other compensation up to certain limits. There are quite a few exceptions and limitations to the benefits outlined above. It can be confusing, especially in the chaotic aftermath of a serious injury. The experienced workers' comp lawyers at The Kelleher Firm can handle your claim and make sure you are getting the benefits you are owed. Workers' compensation covers occupational diseases and job-related accidental injuries. Death related to these injuries and illnesses are also covered, although they may be affected by when the death occurs in relation to the date of injury. The injury must be job-related. Certain circumstances eliminate the possibility of coverage, such as if the employee was drunk and that is determined to be the primary reason the injury occurred. If you are a Federal employee, a seaman or another type of maritime worker, you will likely not be eligible for state workers' comp. Federal compensation exists for federal workers, while many maritime workers are covered under the Jones Act or the Longshore and Harbor Workers' Compensation Act. Call our attorneys to find out what applies to your employment. Call 911 if there is a medical emergency. If you or any of your coworkers need emergency medical attention, don't hesitate to call. Report the injury to your supervisor right away. After 30 days, your claim will be denied on the basis that the injury was reported too late. When you report it to your supervisor, include details about what happened, the names of people who witnessed it and where it happened. Don't go to your own doctor. Your employer will specify the doctor. If you went straight to the emergency room, tell the staff there that your injury occurred on the job. Once you have gotten medical attention and reported the injury to your supervisor, you should contact our attorneys in Florida. For free, we will discuss the details of your claim with you and let you know if we can help you obtain the benefits you deserve. You are not required to hire a lawyer to pursue your workers' comp benefits; however, doing so can be a significant advantage. Workers' compensation is an insurance program. Like any other type of insurance company, the adjusters may work to deny or reduce your benefits when you file an injury claim. Attorney Frank W. Piazza has more than two decades of experience fighting for injured workers. During that time he has handled thousands of workers' compensation claims. He knows how insurance companies work to delay, deny and reduce claims, and he can make sure you are being treated fairly. Without the representation of an experienced attorney, you may be short-changed by the insurers. Make sure you get the full compensation you are owed. At The Kelleher Firm, we can handle all aspects of your claim for you. If your claim is denied, we can handle the appeals process. Unfortunately, claim denial is not uncommon. The workers' comp company may take issue with the way the claim was completed and filed. They may try to say your injury was preexisting and not caused by your work duties. Or they may cite some other reason for denying your claim. The next step is to appeal the denial. A hearing will be scheduled. Instead of facing this hearing alone, rely on our experienced attorneys to go to the hearing and fight aggressively on your behalf. In the event the claim is denied a second time, there may be further options for appeal. Sometimes there is a third party – not your employer or coworkers – who may be responsible for causing your work injury. If this party's negligence is what caused your injury, you may be entitled to pursue compensation in a traditional injury claim handled by our lawyers. 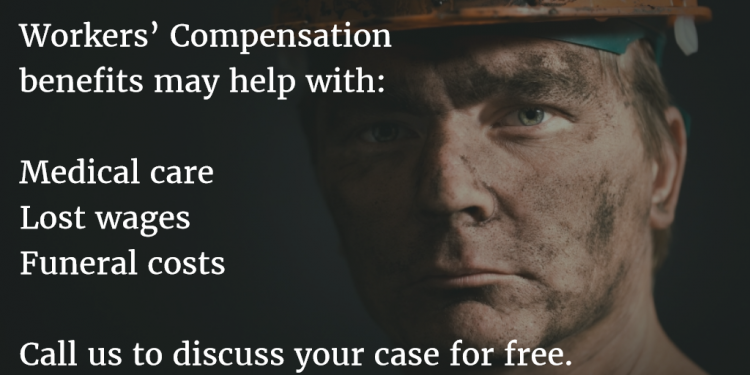 Any compensation awarded would be in addition to any workers' comp benefits obtained. There is a narrow set of parameters within which this type of work injury claim is possible. Please call The Kelleher Firm to find out what your options are. To find out how the experienced attorneys at The Kelleher Firm can assist with obtaining your workers' compensation benefits, please call us at 833-546-3675. We know these issues don't always arise during the normal 9-to-5 hours. That's why we take calls 24 hours a day, 7 days a week. Your claim evaluation is FREE. Call us now to learn more about our experienced workers' comp lawyers in Fort Myers and Naples, Florida.